Sunrise Banks operated as a very successful bank holding company for more than 10 years by occupying a specific niche offering banking services to underserved urban communities. The company made a strategic decision to consolidate it three independent bank charters under a single bank charter. The leadership team asked Brand tool Box to create a new identity for Sunrise Banks and use our internal brand building process to align and engage all employees across all branches in the new brand platform. Brand Tool Box developed a three-prong approach to helping Sunrise Banks achieve their objectives. The first part of the process involved working with the a “Bank Rebranding Team”, anchored with key members of the leadership team to develop a brand platform that describe the authentic qualities of the bank in a way that provided them a distinctive market position. Developing the brand platform produced an unexpected team building experience for the leadership team reinforcing their commitment to a common vision for the success of the bank holding company. Brand Tool Box developed a new corporate identity for Sunrise Banks that resonated the important qualities described in the brand platform. The new look and feel of the corporate identity was supported with a set of usage guidelines. I addition Brand Tool Box provided support in implementing the roll out of the new identity. The final step was to implement the Brand Tool Box Internal Brand Building program with all employees of the bank. At the core of the program was delivering a number of different sessions of the Brand Tool Box Brand Alignment workshop that provided each employee with a clear understanding of how their “personal brand” can align with the brand of the bank, the resulting alignment will enable each employee to make a difference everyday with a customer – a result that benefited customers, each employee and the bank. 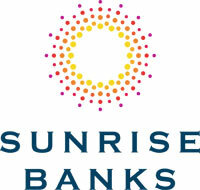 Our work with Sunrise Banks resulted in a strong brand both inside and outside the organization. Team leaders have reported numerous examples of how employees’ behaviors and language reinforce how the learning outcomes from the Brand Alignment training are being integrated into day-to-day business activities. With a culture that resonates the ethos of its founders and redesigned infrastructure, Sunrise Banks is now prepared to scale up its vision for helping underserved communities achieve their aspirations. The bottom line is that the banks captured the power of engaged employees to fuel their sustainable growth and grow their market share in each of their individual markets. A more in-depth article (Purpose Guiding Profits, Profits Fueling Purpose) about our work with Sunrise Banks can be found here.